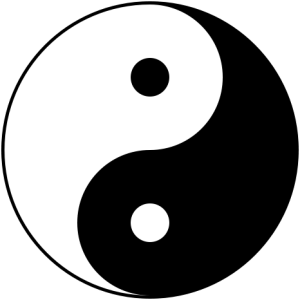 Can Western dualism be compared to Yin and Yang? 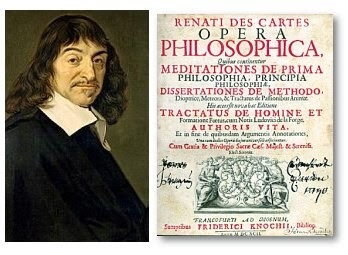 We are probably all aware that René Descartes was a major figure in seventeenth-century European continental rationalism. His most famous expression was/is ‘Cogito ergo sum,’( in French: ‘Je pense, donc je suis’) or in English: ‘I think, therefore I am’ ‘I am thinking, therefore I exist’ or ‘I do think, therefore I do exist.’ He definitely shaped or better defined Western polarization culture’s thinking. Descartes defined the roots of Western dualism in ‘Description of the human body’ and the ‘Passions of the soul’ in which he advised that the body functions like a machine. In contradiction to the body, the mind or soul was described as a non-material object that lacks extension and motion and does not follow the laws of nature. This form of dualism or duality has a problem when one proposes that the mind controls the body and that the body can also influence otherwise rational mind. The dualism, as a philosophical matter, is then transferred to all themes such as good-bad, heaven-hell, day-night, left-right, man-woman, etc. This polarization is very strict and does not allow any big or small interconnection and/or interdependency. This kind of thinking was strongly supported by prevailing religion in Western hemisphere at the time. There was also kind of a different opinion that could not pass well in those same times. 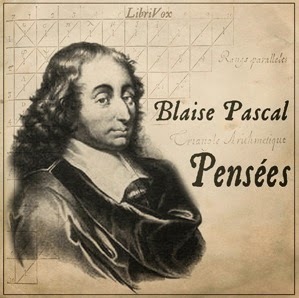 A little younger scientist and philosopher of science, Blaise Pascal, advocated strict empirical observation and the use of controlled experiments. He opposed the rationalism and logico-deductive method of the Cartesians. With a help of epistemology he questioned observations or experiments as sources of evidence, the certainty of knowledge claims, and the epistemic status of hypotheses to understand or explain natural phenomena by believes and not reasoning. On the other hemisphere Yin and Yang are interdependent and change from one to the other. They do not exist without each other. In the symbol, you can see the Yin point in the ‘strongest’ part of Yang and vice versa. And this is the rudimentary difference introduced by Yin and Yang vis-à-vis dualism. I’ve written about Yin and Yang principles in the post Yin & Yang in Leadership. As opposed to Western dualism approach the Yin and Yang is a fundamental concept of Far East philosophies such as the Chinese Dao De Jing, the Indian Upanishads, or the Buddhist Sutras. The biggest philosophical difference in this context can be seen through the approach to reality. Far East agrees that reality is ultimately indescribable and unapproachable. Nevertheless, we can still influence reality as there is always something of opposition within opposition. Like chocolate is good but at the same time bad too. The differences may be ‘small’ but they are nevertheless important. If all is only ‘black or white’ there is no room for errors and tries. Even more: if one does not succeed one is ‘punished.’ Paradoxically, human history has shown us so far that “try and error” made us so successful. All the inventions were based on prior ‘errors.’ Are we then able to mentally surpass this strictly dual approach? Famous expression was/is ‘Cogito ergo sum,’ is the dualism, as a philosophical matter, is then transferred to all themes such as good-bad, heaven-hell, day-night, left-right, man-woman, etc. ... another words they reflect verge of this understanding. yatsergioship yes in western hemisphere. What about Yin and Yang principle at east?